WOULD YOU LIKE a smile that glows? With the GLO Science whitening system, you can have a smile that shines in no time! The GLO Brilliant™ Personal Teeth Whitening Device is a convenient system that reinvents the experience of teeth whitening. Using patented G.L.O. 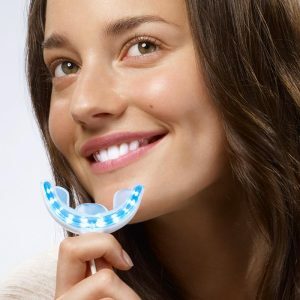 (Guided Light Optic) technology, it combines professional elements of heat and light built into a one of a kind – closed system mouthpiece that accelerates the whitening process, preventing the whitening oxygen from escaping the tooth surface, bombarding the stains and making the whitening process more effective and more efficient. Used with their innovating whitening gel G-Vials that contain a minty fresh, stay put formula that adheres to your teeth without getting on gums and other soft tissue. This avoids the problems of sensitivity common with other whitening methods. 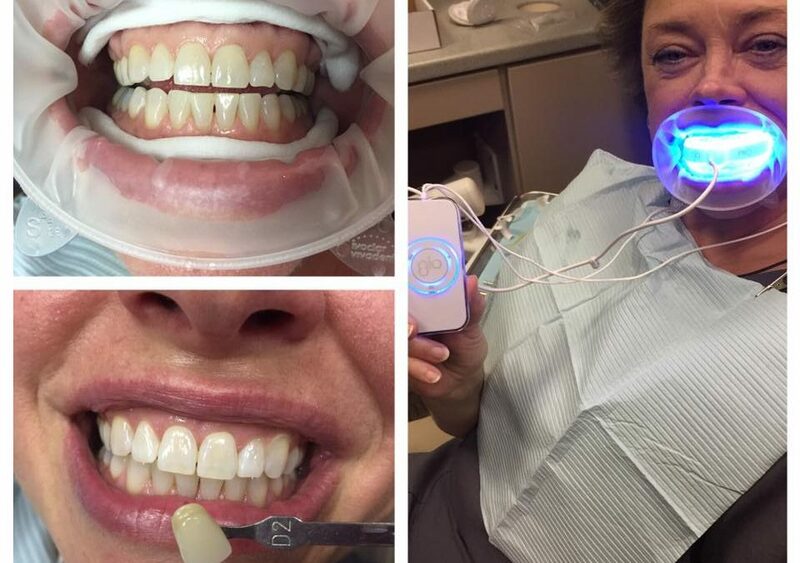 With the GLO Whitening system we can whiten your teeth in-office in under an hour with no messy tray impressions. For best results we suggest patients continue to bleach at home, when they buy the in-office whitening, the at-home kit is included! The light is yours to keep. The best thing about this system is there is no sensitivity! Are you ready for a whiter, brighter smile without any of the drawbacks or inconvenience of other methods? Come into our office and give the GLO Brilliant™ Personal Teeth Whitening Device a try! We’d love to show you how it can improve your unique whitening experience.